On Friday, their favorite Jim Acosta, CNN’s White House correspondent best-known for being the most vocal provocateur yelled at President Trump as he delivered his first in-person remarks on Thursday’s deadly shooting at The Capital Gazette newspaper in Maryland. “Mr. President, will you stop calling the press the enemy of the people?” Acosta, a frequent target of the president, shouted at Trump. Shortly after the event, he shared a tweet about the incident, in which he stated the president neglected to respond to him. He actually said he “tried” to ask and he “didn’t” respond. Just changing a few small words can make a difference. Amazing, these people can’t even tweet honestly. He didn’t try to ask the president anything. His entire goal was to connect Trump to a shooting. A shooting which had nothing to do with politics. Notice how he didn’t ask Obama when Cops got killed if they still “acted stupidly”? Luckily, actor James Woods slammed Acosta with the truth. 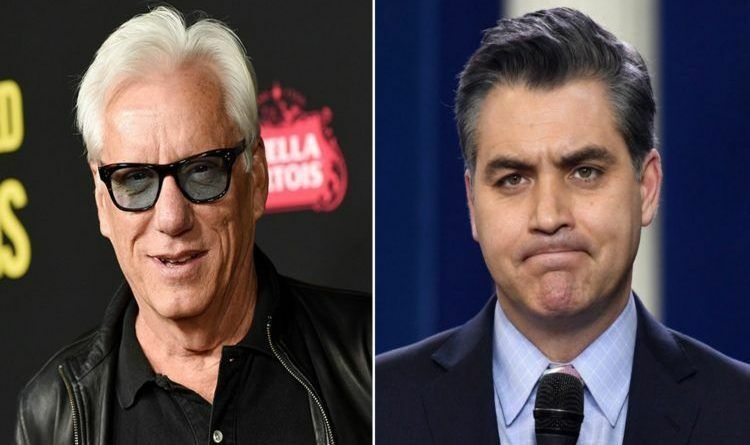 “Rare for a publicity whore like yourself to be considered an “enemy.” “Court jester” maybe… #JagoffJimAcosta,” Woods tweeted. James Woods never disappoints. He gave the accurate description for Acosta. Woods description means someone who sells their body and soul for money. In this case, Acosta puts out for CNN. So, I say pull Acosta’s White House credentials. That will fix the problem. ← Donald Trump Reveals What Melania Said About Migrants In Mexico After Her Border Visit!